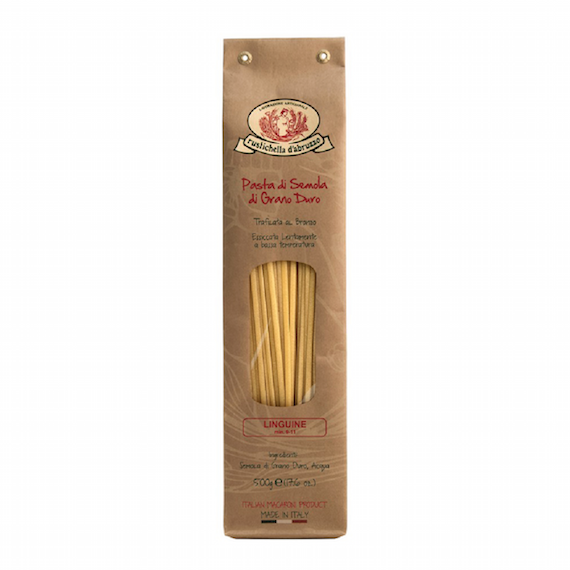 Italians believe that their country's finest pasta comes from Abruzzo. The combination of grain grown under salty Adriatic breezes and water from pure mountain springs has long been said to work magic. Anyone accustomed to ordinary commercially made pastas will be surprised by Rustichella d'Abruzzo's distinctive character and pleasurable bite.